Hedgehogs are nocturnal and should not be out in the day. A hedgehog out in the day is in urgent need of rescue. Hedgehogs never sunbathe. Don’t delay, the faster you act, the greater the chance of saving the hedgehog. Speed in getting help is particularly important if the hedgehog is collapsed/not moving or is shaking/wobbling when walking. Pick it up with thick gloves on. Contain the hedgehog in something with very high sides. Plastic recycling boxes from the Council are excellent. It may climb out of anything with lower sides. Place it somewhere warm. This is vital if the hedgehog feels cold to the touch or is shaking/wobbling. Fill a hot water bottle or a leak-proof drinks bottle with hot water. Don’t use boiling water. Wrap the bottle in an old towel and place it at the bottom of the box. Then place the hedgehog onto the heat and cover it with an old towel or fleece. It is vital to make sure that there is room for the hedgehog to move away from the heat source. Keep checking on the bottle to make sure it is warm – if it gets too cold it will take heat away from the hedgehog. If you have one, a microwaveable heat pad is better and you need to keep the hedgehog indoors in a warm room. 5. Offer a shallow dish of water. Don’t offer food. I know it is tempting but this can kill a starving dehydrated hedgehog. 1 litre warm water with 1 tablespoon of sugar and 1 teaspoon of salt. Then offer in a shallow dish. 6. Get some help. Caring for poorly hedgehogs is a specialist task. Don’t be tempted to try and care for it yourself without seeking advice. If you have found a baby hedgehog/nest of baby hedgehogs do not touch them with bare hands. Always wear gloves. Seek urgent advice before picking up the babies – a hedgehog rescue can advise whether they are likely to have been abandoned or whether mum may come back. www.helpwildlife.co.uk – the site also has more useful advice on what to do if you find sick/injured wildlife. Top tip – put the above number into your phone NOW! Do it before you forget – then you will have the number handy if you ever need to find a hedgehog rescue. The Hedgehog Bottom website has a fantastic searchable map of rescues, including international hedgehog rescues. For hedgehogs in York, you can get in touch with me via my contact page. The RSPCA in York is also great with hedgehogs. Call their 24 hour national line on 0300 1234 999 when the Landing Lane branch is closed for help with a sick or injured hedgehog. A specialist hedgehog rescue is the best option but if you cannot find anyone else and especially if the hedgehog looks to be in pain/injured or is shaking/wobbling, take it to a vet. Most vets will treat wildlife for free. I run a hedgehog rescue in York. My work is entirely self funded. You can read more about my work here. You can find out more about how to support my work here. 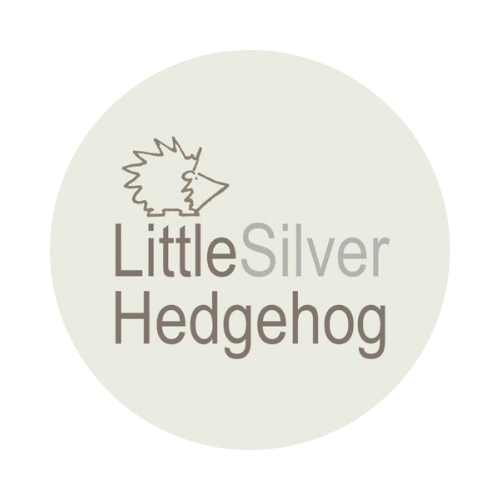 I also make silver jewellery inspired by nature and wildlife to raise funds to support the hedgehog hospital. You can visit my online jewellery shop here. Previous postWANTED – homes for hedgehogs! Do you mind if I add a link to it on my blog? Thanks for the article, particularly the helpwildlife.co.uk link. I found their information on “vermin” really informative. I did have a question though. I’m hoping you can answer it for me since you seem to be pretty knowledgeable about gardening. my vegetables. If you had some insight I would greatly appreciate it.